Information: Frank L. Kaltman, caller, teacher, and author of books about international folk dance. Frank taught the very basic steps of square dancing at Carl Fishers' Publishing House in New York City along with Al Brundage. While still at school, Frank became a professional musician, jazz and dance music mainly. His travels in this field took him to South America for several years where he first became interested in folklore and folk music. He was a dues-paying member of the Musician's Union. In 1925, Frank entered the then, New Radio Industry, devoting most of his spare time to designing and operating short wave receivers. In the mid-thirties, he became involved in the merchandising of photographic equipment which led to the manufacture of color filters. With the onset of World War II hostilities in Europe, the filters were superseded by the manufacture of lenses for the armed forces. This being a highly technical and nerve wracking business, he found some relaxation in his first love, music and dancing. In short order, his interest was concentrated upon folk and square dance. At that time, there were very few phonograph records available for this purpose. Of necessity, live music was used for all dance groups. This meant that large groups of people were needed to pay for the musical expense and it was a distinct handicap in developing a more wide-spread activity in recreational folk dancing. A small group could not dance together unless they had a member musician to accompany them. Schools generally did no folk or square dancing unless the gymnasium was supplied with a live pianist. This irked Frank no end, and aroused a stubborn determination to provide records for this purpose. At the end of the war, he immediately set in motion several recording projects that had been under discussion. In 1946, his new company, formed with Dan Wolfert, was named Folkraft Record Company in Newark, New Jersey, and proposed to set the world folk dancing to records. Frank directed the musical group Folkarteers that recorded for Folkraft. From 1946 on, he dropped all of his other business interests and devoted his entire time to research, recording, writing, and teaching folk dance. He conducted in-service courses for numerous school systems and one- and two-week summer dance camps in eight states. 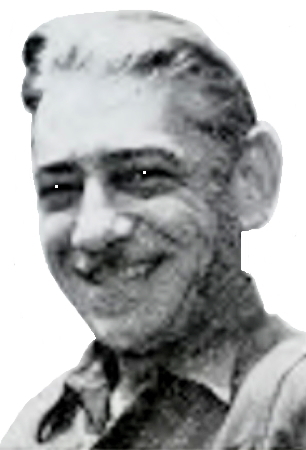 He was an opinionated record reviewer for and published American Square Dance Magazine for seven years alone, and when a new record was not up to par, he would not only say it was bad, he would also say why. In conjunction with Rickey Holden, he wrote a number of books, pamphlets, and articles on the teaching of folk dance and many other associated projects. While everything he did before reaching forty contributed to his skill and knowledge, since that time an entirely new pattern of life had developed. At first everything and anything that caught his fancy in the field was enthusiastically recorded and published. But each passing year brought him more determination to bring more dancing into our American way of life. And what better way than to start with pre-school children and see to it that they continue year by year until dancing was so much a part of their lives that they could not imagine life with out it? And so, his energies were mainly devoted toward promoting more dancing in schools at every age level. In conjunction with Professor Olga Kulbitsky of Hunter College, syllabi for each grade were laid out and suitable recordings for the teaching of dance and rhythms made. A teacher's dance handbook for the elementary grades was published, followed by another for the higher grades. Frank was director of the first Kentucky Dance Institute. The Contra Dance Book. Frank Kaltman with Rickey Holden and Olga Kulbitsky, 1956. Follow the Leader: A collection of circle dances. Kulbitsky, Olga, and Frank L. Kaltman. Teachers' Dance Handbook #1 (Kindergarten to 6th year), by Kulbitsky, Olga and Frank L. Kaltman, Newark, N.J., Bluebird Publishing Co., 1959. "Watch That Contra Diction," American Squares, Volumes 12-13, 1966. Folkraft Record Service, a list. The Contra Dance Book, a book.